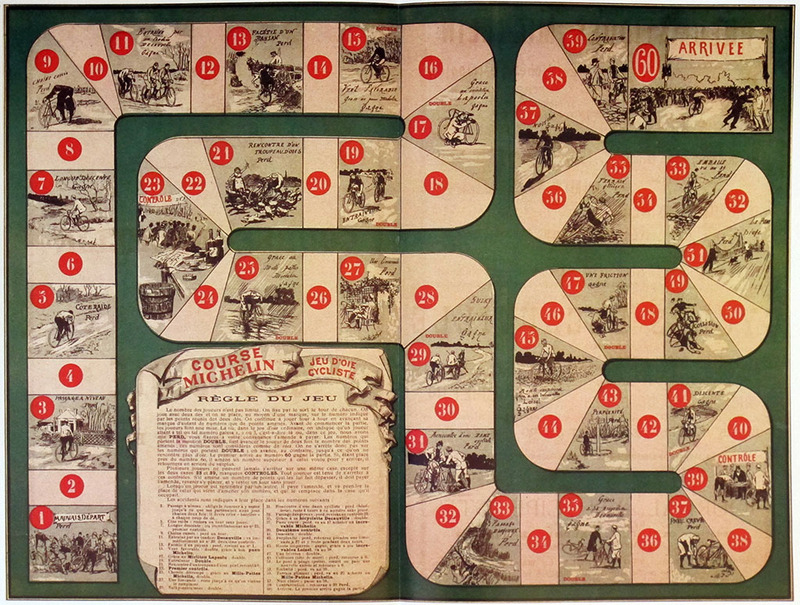 This is an old game from 1894 which is reprinted in the 1981 book Il gioco dell'Oca; Un libro da leggere, da guardare, da giocare (see bibliography). I am not breaking my rule of featuring only games that I have in my collection, since this is a large (37 x 25 cms) book that reproduces the games in a playable format. 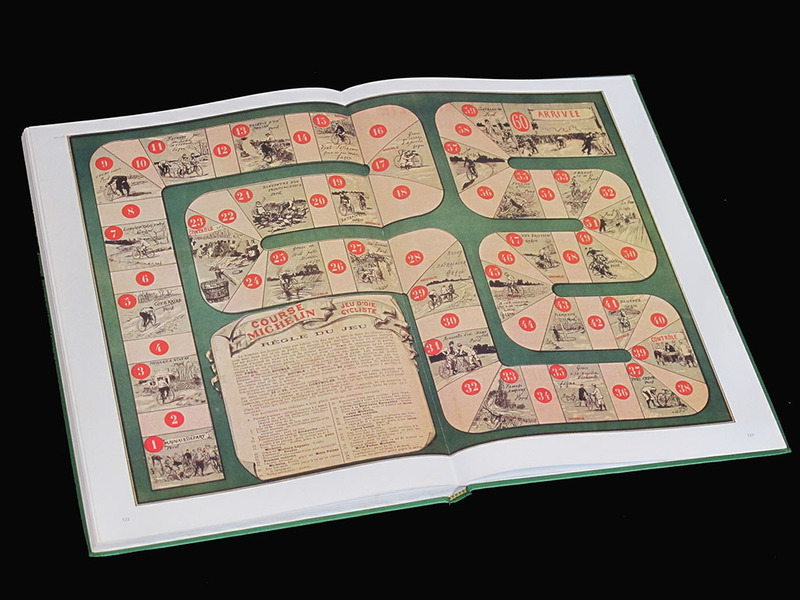 The original game measures 53 x 41 cms, so the double-page game as featured in the book is just a little smaller than the original size. 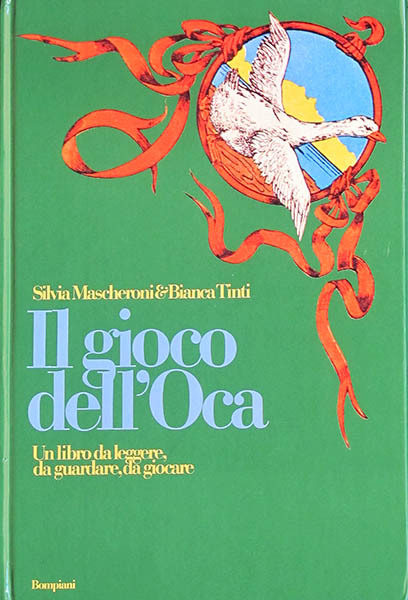 (By the way, you can see the original game in the giochideloca.it website). 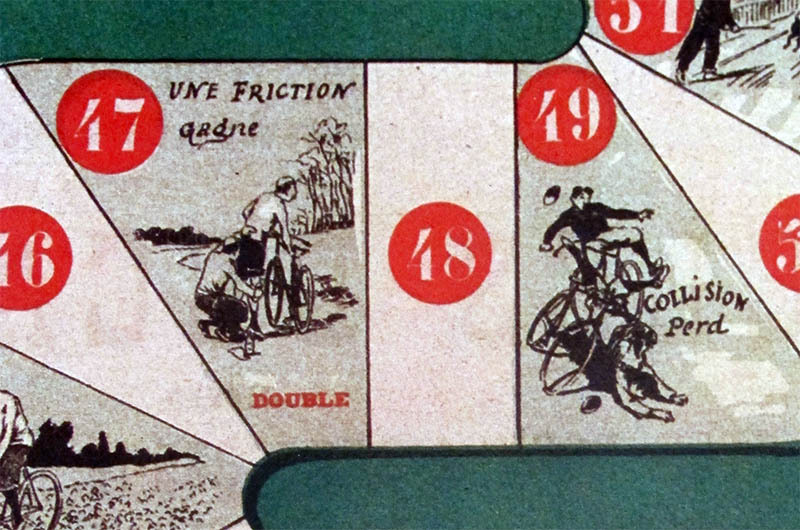 Being from 1894, this is one of the oldest cycling games. 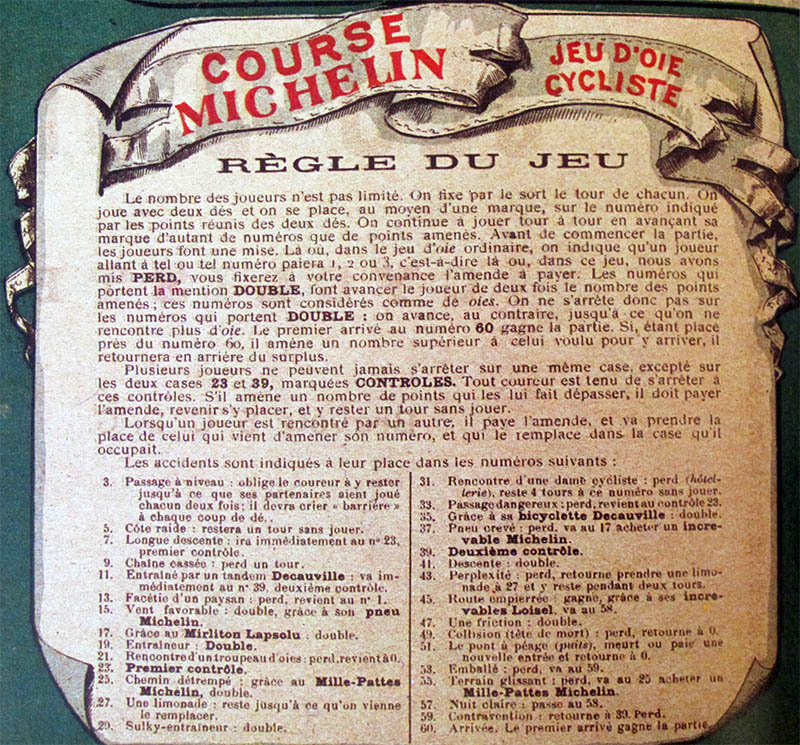 The game was included in the Revue Encyclopédique in mai 1894, and is a promotion for Michelin tires and other related products. Every other square has a race incident, half of them good and half of them bad. Most of the positive squares are so because of the endorsed products (in bold type in the rules so you can't miss them). Some of these rules make more sense than others. While "entrainé par un tandem DECAUVILLE" is OK, "vent favorable grace au pneu MICHELIN" is quite weird. How is that? Does the tire cause the tailwind? 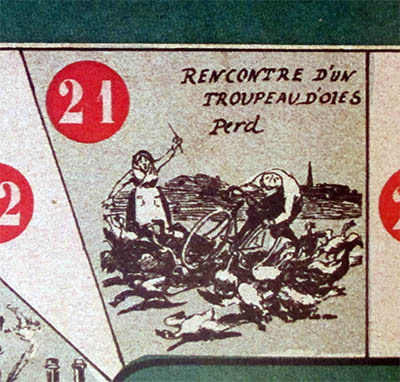 In 1894 there were geese on the French roads... or maybe it's that this is a game of goose. This is the cover of the book where the game is featured (see bibliography).